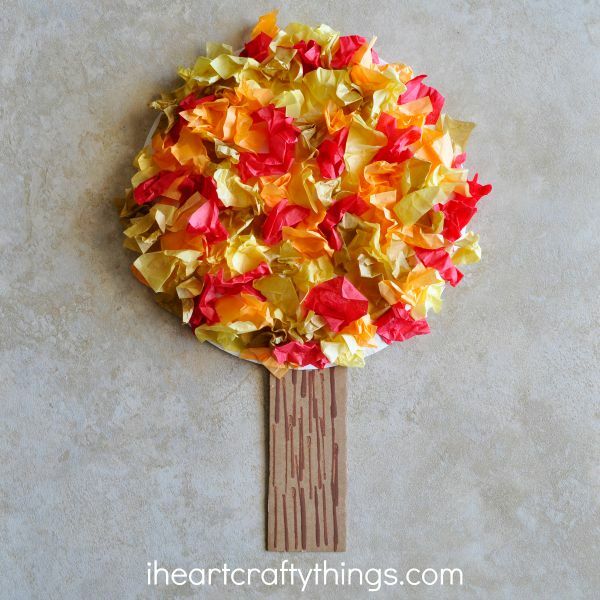 Fall time wouldn’t be complete in my house without a fun Fall Tree Craft! 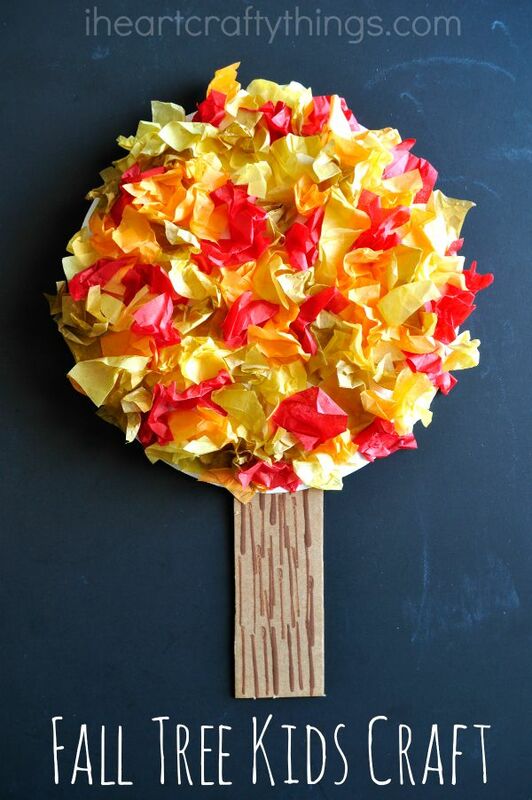 It’s something we look forward to every year. 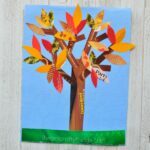 When I found out the kids craft stars craft challenge was all about tissue paper this month I was excited to dive in with the beautiful fall colors of red, orange, yellow and gold. We made this gorgeous Tissue Paper Fall Tree Craft. 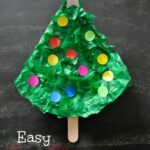 I love how scrunching up and adding tissue paper onto the tree is great for fine motor skills for younger kids but that it’s also a fun craft for older children making it a perfect family activity. 2. 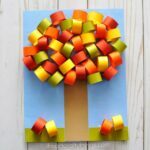 Add school glue onto one section on the back of a paper plate and then scrunch and add tissue paper onto the paper plate. Continue adding glue and tissue paper to different sections until it is full. 3. 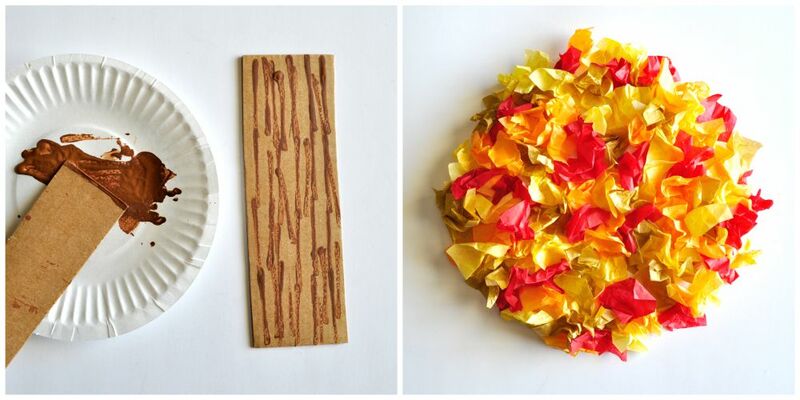 Staple your tree trunk onto the bottom of your paper plate. 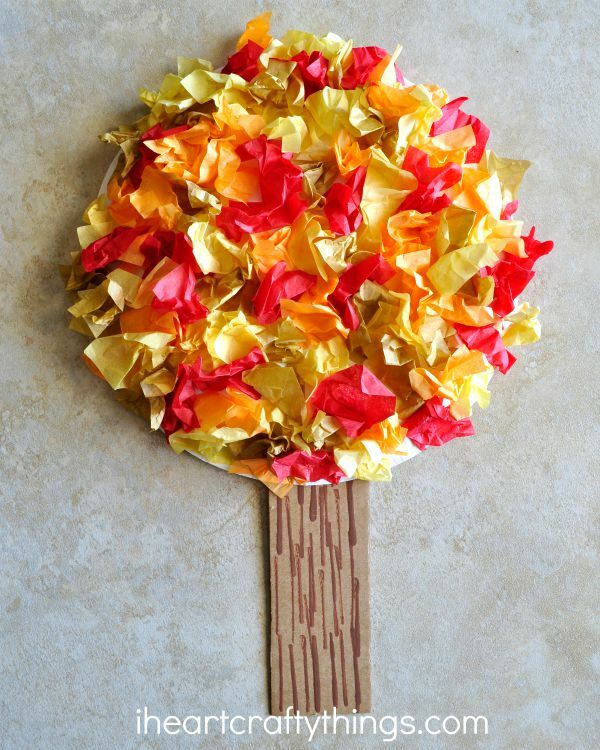 Make sure to check out these other fabulous tissue paper crafts from the kids craft stars! 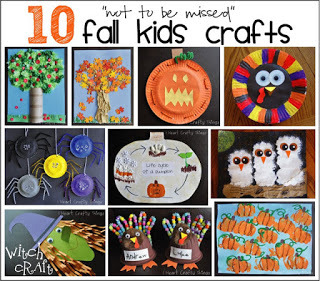 You can also keep up with our latest crafts by following our Pinterest Board or following our hashtag #kidscraftstars on Instagram.